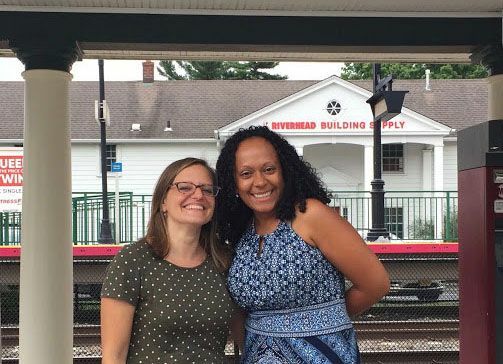 As a part of preparing for the opening of the school year, Assistant Head of School Karen Crowley and Diversity Director Olga Florentino invited Grace’s Dean of Community Life, Kim Chaloner, to work with the Diversity team this August. Kim brainstormed with the team about how to build community engagement in implementing a strategic plan that includes equity and inclusion goals and provided a workshop about how to develop shared criteria. Karen Crowley was inspired to invite Kim after attended a workshop about “White Fragility” at the NYSAIS annual Diversity Conference in April 2018 held by Kim and John Gentile, Co-Director of the Office for Identity, Culture and Institutional Equity at Horace Mann. Kim shared that “..it was exciting to work with a group that wanted to move their community forward, I was honored to be invited.” Kim will be revisiting Portledge in January to talk to parents about diversity initiatives.